UPSEE 2019 Syllabus has been released by the exam conducting authority. Dr. A.P.J. 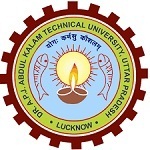 Abdul Kalam Technical University (AKTU) organizes a state level entrance examination. This examination is called as UP State Entrance Examination (UPSEE). It is also called as AKTU Entrance Exam or UPTU Entrance Exam. It is held to provide admissions into engineering, architecture, pharmacy, hotel management, management, etc. In this article, we have updated the brief information about UPTU Syllabus 2019. UPSEE/AKTU 2019 Syllabus has been announced by Dr. A.P.J. Abdul Kalam Technical University (AKTU). Before appearing in the examination, candidates must know about the entire syllabus of the examination. The syllabus is different for different papers. Total 8 papers will be organized by the AKTU. Below, we are providing the complete syllabus according to the Paper. Atomic Structure, Chemical Bonding, Acid – Base Concepts, Colloids, Colligative Properties of Solution, Isomerism, IUPAC, Polymers, Redox Reactions, Electrochemistry, Catalysis, Chemical Equilibrium and Kinetics, Periodic Table, Thermochemistry, General Organic Chemistry, Corbohydrates, Solid State, Petroleum. This test aimed to evaluate a candidate for his understanding of Scale and Proportion, Sense of Perspective, colour and understanding of the effects of light on objects through shades and shadows. Pharmaceutics-I, Pharmaceutical Chemistry – I, Pharmaceutics – II, Pharmaceutical Chemistry – II, Pharmacognosy, Biochemistry and Clinical Pathology, Harmacology and Toxicology, Pharmaceutical Jurisprudence, Human Anatomy and Physiology, Health Education & Community Pharmacy, Drug Store and Business management, Hospital and Clinical Pharmacy. Click here to check official syllabus. If you have any queries about UPSEE/AKTU/UPTU Syllabus 2019, you can leave your comments in the comment box. sir i am computer science diploma final year student mujhe inh subject ka bhi study karna hoga.Engineering Mechanics, Basic Electrical Engineering, Basic Electronics Engineering, Engineering Graphics, Elements of computer science, elementary Biology, Basic Workshop Practice. is the syllabus of uptu entrance exam for diploma holders in computer science same as for 12th passed students? when registration is start for this examination. Lateral entry syllabus for b.tech (electrical). For diploma holder in electronics. I have passed my graduation BSC(cs) with 50 % and now I want to take admission in mca , but problem is that I have physics in bsc 3 year . can I take admission in mca . how i will get admission in university of waterloo. i am btech in computer science an d engineering. Sir may I know the eligibility for direct admission in b.pharma college in up (KIPM) What is minimum %required in 12th..
check the eligibility for lateral entry exam. Please provide separate syllabus for different exams.I want entry in pharmacy field. Please give previous year question paper also. You can apply. There is no age limit to apply. I want to know ki mujhe pharmacy karni hai ..too syllabus ky hai .preparation ke liye Kya study kia jaye? You should check the official syllabus for Pharmacy course. Sir,muje Bpharmacy me admission ke liye uptu exam me kitne marks lane hoge.. The syllabus is given in the above article. Sir I am complete diploma in civil engineering .. Pls help me later enter entrance exam paper..
Dear sir, I have requierd the mca unsloved paper. How many exam paper have been given in Architecture ? Give me full details of uptu b.tech entrance exam 2017.